A new deal has been posted up in the DL Deals Store, this time targeted at those looking to create a game using the Unity3D engine. 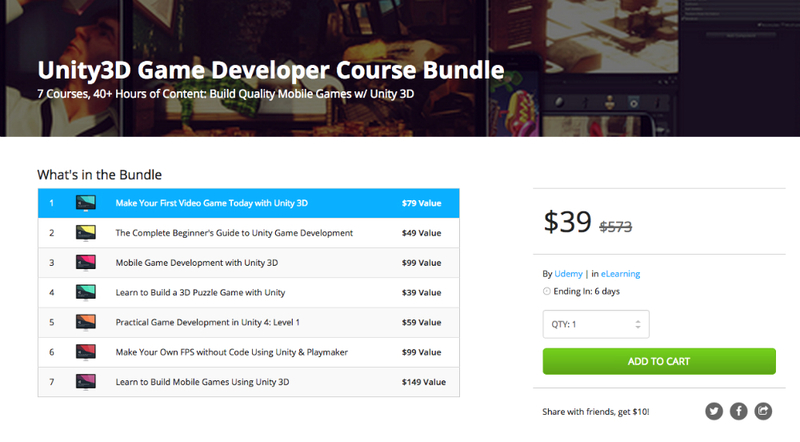 The Unity3D Game Developer bundle features 7 full courses with 40+ hours of content, priced at just $39. Compared to its value listed at nearly $600, that seems like a pretty sweet deal. The courses include beginner guides to developing with Unity, the steps of general game creation with Unity, mobile game creation overviews, and even a course on creating an FPS game using Unity. If you ever needed Unity guidance, this would certainly be the time to get it. If you are interested, follow the link below.